As part of maintaining our position as a leading green printing company, we're able to supply a full range of Forest Stewardship Council® (FSC) certified products. 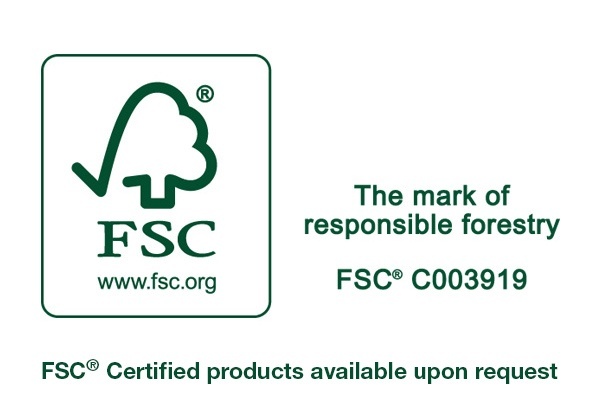 FSC certified products are made from wood fibre sourced from responsibly managed forests, meeting high environmental, social and economic standards, and which can then carry an FSC logo to demonstrate their green printing credentials. Our Chain of Custody systems are audited annually to ensure complete compliance with the FSC standards. (www.fsc-uk.org).